The Rt Hon Ken Macintosh MSP was born in Inverness and educated at Portree and Oban Primary schools and then at the Royal High School, Edinburgh. He graduated from the University of Edinburgh in 1984 with an MA (hons) in History. Before entering the Scottish Parliament in 1999, Ken was a television producer for BBC News. He worked on programmes such as the Nine O’Clock News, Breakfast with Frost and as a researcher for both David and Jonathan Dimbleby. 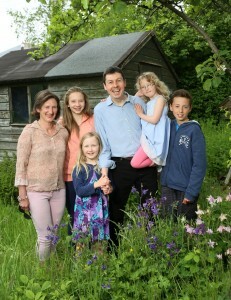 Ken is married to Claire and the couple live in Busby with their six children. Ken was first elected to the Scottish Parliament in 1999 to represent the constituency of Eastwood on the southside of Glasgow. Ken held the Eastwood seat in the 2003, 2007 and 2011 Scottish Parliamentary elections and in 2016, he was elected to represent the West of Scotland region in Holyrood. In the previous Labour Scottish Government, Ken was a Ministerial Parliamentary Aide to former First Minister Jack McConnell. In 2006 Ken introduced a Member’s Bill to the Scottish Parliament to help reduce skin cancer through the tougher regulation of sunbed parlours, a proposal which successfully became law in 2008. In opposition, he served as Shadow Minister for Schools and Skills, Shadow Cabinet Secretary for Culture and External Affairs, Shadow Cabinet Secretary for Education, Shadow Cabinet Secretary for Finance and Shadow Cabinet Secretary for Social Justice, Communities and Pensioners’ Rights. In 2011 and again in 2015, Ken ran to be the Leader of the Scottish Labour Party, campaigning on a programme of reform for the party and championing a new less oppositionist style of politics. 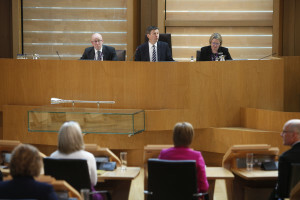 At the 2016 Scottish Parliamentary election, Ken was returned as a member for the West of Scotland region before being elected as the Scottish Parliament’s fifth Presiding Officer by his peers. Upon his election as Presiding Officer, Ken said that he would continue the programme of Parliamentary reform, seeking to work together across the party divide for the common good. Ken was appointed to Her Majesty’s Privy Council in October 2016.